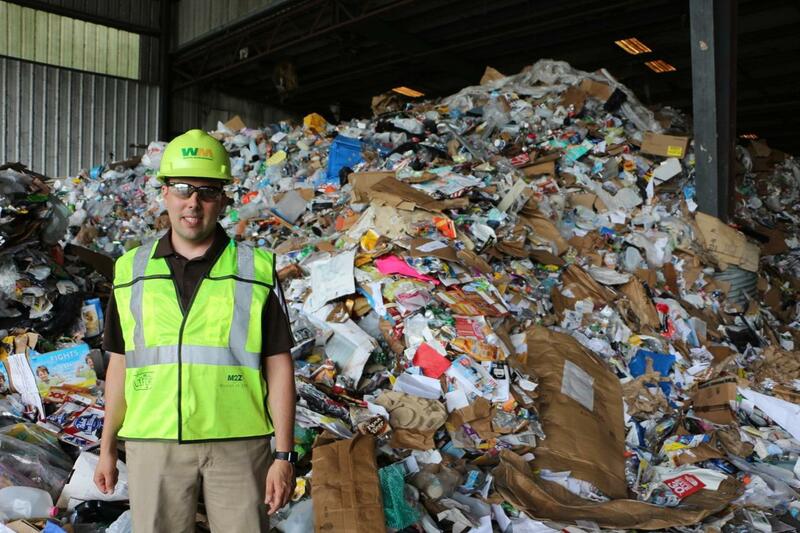 Curious Nashville: What Happens When The Wrong Stuff Gets In The Recycling Bin? What's right? What's wrong? We explore the angst of recycling in this episode of Curious Nashville. Listen to this episode of Curious Nashville. For most people, recycling means placing an empty soda can or some scrap paper in a blue bin. They might take that bin to the curb or to a drop-off site. But beyond that, the process is mysterious, filled with arbitrary rules and a vague reassurance that we're doing the right thing for the environment. What happens if I put the wrong item in the recycling bin? It's a simple question with a not-so-simple answer. We recommend listening to the full story above and following along with the visual guide below. But just in case you're too impatient to listen to the 15-minute episode, here's the short answer: If you put the wrong thing in the recycling bin, you are messing everything up. Ricky Clark drives on the right side of the truck so he can see the recycling carts on the side of the road. I start answering Mark's question by riding along on a recycling truck — the first line of defense against wrong items. 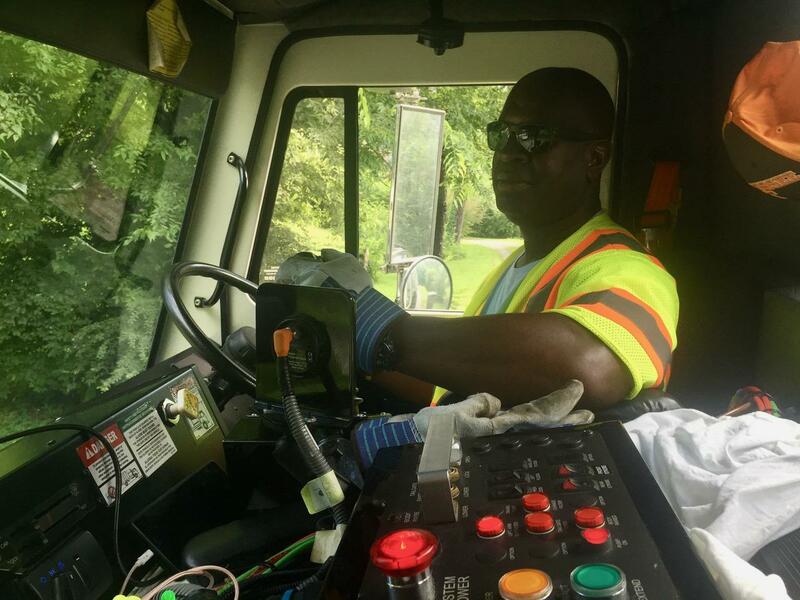 Ricky Clark, the driver, uses a joystick to operate a claw on the side of the truck. It picks up a recycling cart, flips it over to the back of the truck and shakes it out. Clark has observed that different neighborhoods recycle differently. On his West End route, for example, he sees significantly more cardboard in the bins. Why? "Online shopping," he says. "It's hard to believe that they do that much online shopping, but they do." Cardboard is just fine to recycle. But if he can tell there's trash in the bins, he won't pick it up. Metro sends out trash collectors to deal with these offenders. Paul Farley, the Waste Management recycling facility site manager, stands in front of the tipping floor, where trucks drop off their loads. The recycling truck will eventually drive to an industrial part of Nashville, off of I-24, to a complex owned by Waste Management. Specifically, it will drive to the "tipping floor": a huge room with a dune of junk, where the truck backs in and tips out all of your discarded stuff. Through an intricate and labor-intensive process, all of this stuff will eventually get separated into its individual material components: paper, cardboard, plastics #1-7 and aluminum. "We like to say that we unscramble the omelet," says Paul Farley, the site manager for Waste Management. The dune of junk is piled bit-by-bit onto a conveyer belt, where workers pull off things that don't look recyclable — anything that will get wrapped around the spinning equipment later on, any bulky plastic or scrap metal that won't fit through the equipment. Everything that's left goes through a huge machine with lots of small spinning wheels that bounce the material around. Paper and small pieces of cardboard get tossed over the top of the machine. Aluminum and plastic fall through the wheels to the bottom. Once everything gets sorted onto its own conveyer belt, it goes through a machine that bales the individual materials. "Then from there, we ship by rail car or tractor trailer and send it on to the mills all around the Southeast," Paul says. The bales in this room will get loaded onto trucks or rail cars and sent to mills throughout the region. Inside these mills is where the recycling actually happens. Depending on the mill, plastic could be turned into carpet or railroad ties. Aluminum usually gets turned into more aluminum. Paper gets turned into tissue paper or, if it's shipped to Pratt Industries Recycling in Georgia, into cardboard. "A piece of office paper that's put into a recycling bin in Nashville could very well turn into a corrugated box," says Shawn State, a senior vice president at Pratt. 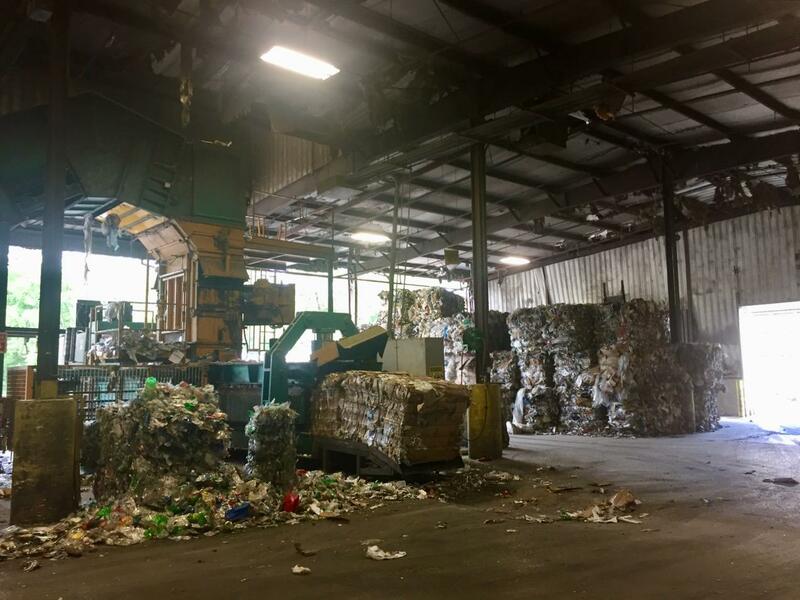 But Pratt rejects entire bales every day because they have too much contamination, like bags, clothing, batteries, glass — things that slipped through the sorting process. This means, if people throw something that they think should be recyclable, but it's not what the mills want, they're actually hurting the system. The industry has a phrase for well-intentioned people who do this: "aspirational recycler." There are places you can recycle items that Metro can't take, like Styrofoam and plastic bags. And even Metro has drop-off sites to recycle things like batteries, pharmaceuticals and glass — things that can't go into the single stream. But that single stream is what people normally think of when they think about "recycling." So what are the biggest recycling offenders in Nashville? Garbage: This obviously should not go in your recycling bin. If recycling truck drivers notice excessive garbage along their route, they'll flag it so that a garbage truck can pick it up. But that adds extra time to the process. Glass: In Nashville, glass gets recycled separately because this particular sorting facility can't handle it. When people put it in their bin and the truck drops it off here, it breaks up into tiny pieces and wears down the sorting equipment. Mixed-material items: Look at a container of Planters nuts. The bottom is metal, the top is plastic, and the side is paper and aluminum. Which mill would want that? "If you've got something that is multiple types of material, in all likelihood, that's not going to get recycled," says Shawn State at Pratt Industries. We hope the podcast episode will answer some of your questions. So we recommend listening to that first. But we know you have specific questions about what you can and can't recycle. So we put together a Facebook Live discussion with some recycling experts and asked them all the questions our listeners have been asking us about recycling. You can find those questions and answers here: We've Answered (Most Of) Your Questions About Recycling. Hear the podcast episode answering this Curious Nashville question. 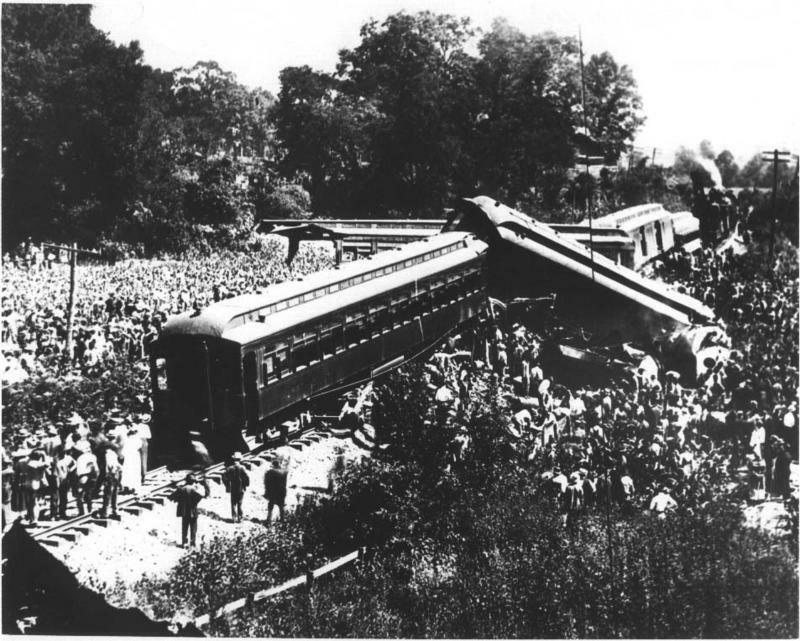 Even many Nashville natives don't know about the head-on train crash at Dutchman's Curve on July 9, 1918. It killed 101 people — mostly African Americans — and by most counts remains the deadliest train accident in American history. Hear this episode of Curious Nashville. 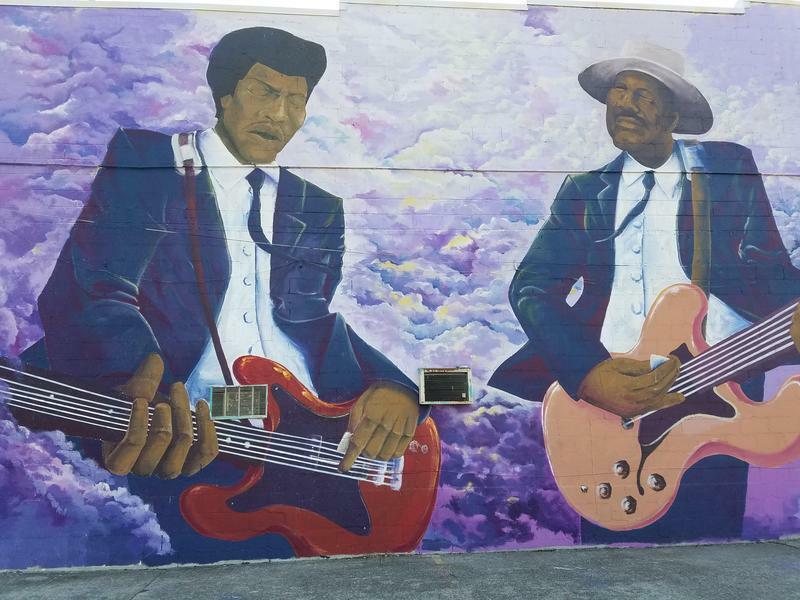 Before he was an international superstar, Jimi Hendrix spent a year on Nashville's Jefferson Street. It's a chapter in Hendrix's musical life that many biographers gloss over. In our latest episode of Curious Nashville, we explain why he came here — and what it says today about the city's most prominent African-American neighborhood.